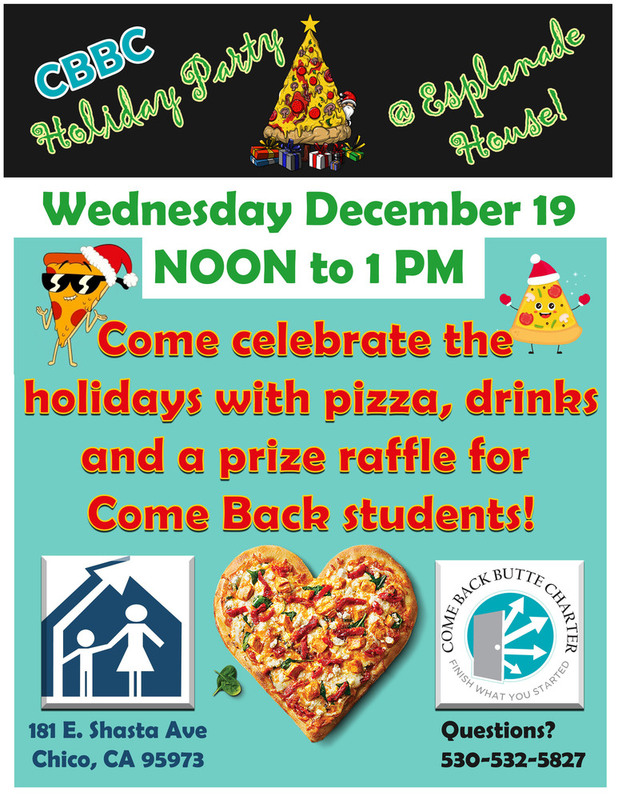 Join us for the Holiday Pizza Party at E-House! Hey staff and students! Come on over to the Esplanade House in Chico for our annual E-House Holiday Pizza Party! Pizza, dessert and drinks will be provided and there will be prizes for students to win in the raffle! Friends and family welcome!